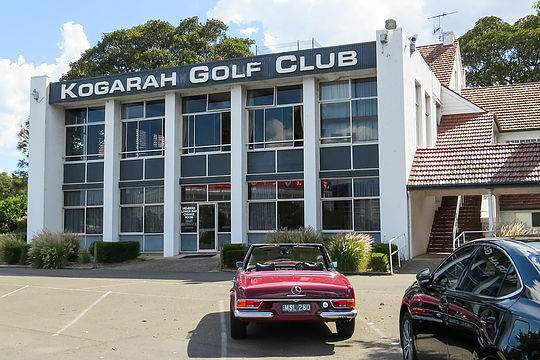 Apart from operating in the shadow of Sydney Airport, with jumbo jets thundering overhead, Kogarah Golf Course is famous for other reasons as well. Not the least of those is that famous start by a golfer on the opening five holes which read par 5-5-4-3-3. This golfer began his round with a par five at the first followed by a birdie four at the second, a birdie three at the third and, believe it or not, a birdie two at the fourth. What happened next? They say he aced the fifth to record a 5-4-3-2-1 start and a spot in the Guinness Book of Records. While that record might never be equalled, the club is now looking to ‘pull stumps’ and move their entire 18 holes to a new site on the other side of Sydney’s hectic M5 motorway, an area named Cook Cove near the Barton Park driving range between Marsh St Arncliffe and the Cooks River. Developers are keen to relocate the course so that up to 5000 homes can be built on the present site, which would be perfect for those wanting easy access in and out of Sydney. It is believed the proposal, being engineered by the Kogarah Golf Club, would cost about $100m and with plans from development partner John Boys Properties now before the new Bayside Council, it may actually be one step closer to fruition. A new clubhouse for Kogarah would almost certainly be part of the relocation, featuring a 200-person function room and members’ lounge near the dilapidated St George Stadium, which would be demolished as part of the project. It is believed the developers have also promised to deliver a publicly-accessible walkway through the golf course, a bird-watching space near the Landing Lights wetlands and the creation of ponds for the green and golden bell frogs, which are native to the area. Under the proposed arrangements for the new course, the club is seeking a 99-year lease of the land from the Bayside Council, rather than the mix of local and state government authorities they presently negotiate with.